Get out your favourite curtain outfit -- 'The Sound of Music' Australian tour is about to kick off in Sydney. Starring Amy Lehpamer ('Once', 'Dirty Rotten Scoundrels') as everyone's favourite singing governess, Maria, and Cameron Daddo ('Legally Blonde', 'Big River') as Captain Georg von Trapp, the acclaimed production will open on Thursday, 17 December at the Capitol Theatre. Other cast members include Marina Prior ('Mary Poppins', 'The Secret Garden') as Baroness Schraeder and Lorraine Bayly ('Calendar Girls', 'The Sullivans') as Frau Schmidt. Jacqueline Dark (Opera Australia’s 'Aida', 'Don Giovanni') will fill the role of Mother Abbess and David James ('Playschool', 'Avenue Q') will play Max Detweiler. The adaptation of the legendary Rodgers and Hammerstein musical premiered in 2006 at London's Palladium, where it achieved a record-breaking 954 performances seen by more than two million people. It has since gone onto enjoy sell-out seasons internationally. For those who don't know (and seriously, where have you been?) 'The Sound of Music' is inspired by the lives of the actual von Trapp family, whose lives are changed when a fun-loving governess comes to look after the widowed Captain's seven children. In Australia, it will run in Sydney until February 28, followed by seasons at Brisbane’s Lyric Theatre from 11 March, 2016, Melbourne’s Regent Theatre from 13 May and the Festival Theatre Adelaide from 9 August. Book your tickets and find out more here. Victorian kids have also been invited to audition for the Melbourne season. 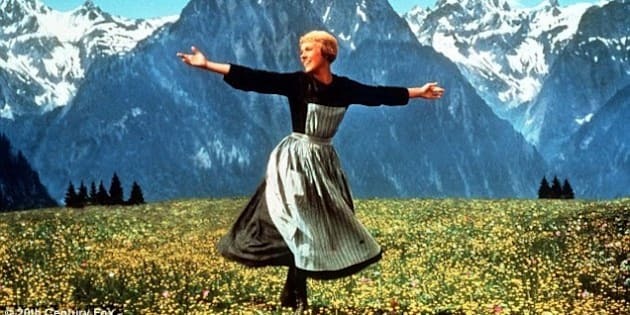 The Sound of Music is produced by Andrew Lloyd Webber, David Ian, John Frost and The Really Useful Group.